For those who prefer the classic Alertmaster System we have a special offer just for you! Harris Communications still has stock available on the Alertmaster AMRX2 Remote Receiver (AMER-AMRX2). Use with either the new or older model Alertmaster system, the AMRX2 connects easily to any standard lamp to provide visual alerts in a second location. On sale for $50.95, you save $9.00! Special pricing is available while supplies last. as part of the Recovery and Reinvestment Act. videos, are available on the Project Endeavor website. clicking beers with each other. 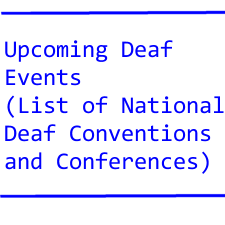 code is to help the deaf with their legal issues. in 2017. Do keep in mind the past winter Deaflympics was canceled. DeafDigest hopes the next two Deaflympics will be roaring successes. a lot of research and development to come up with tiny aids, that one cannot see but is extremely powerful. These result in higher costs even though the parts are cheap! from entering the teaching profession. her request. And later on, the company fired her. starter system during a national track and field meet. Athletics Federation would not allow it. where almost all employees are deaf, has been chosen as the best British restaurant outside of the UK. of Tanzania be gainfully employed. 25% OFF SONIC ALERT DELUXE VIDEOPHONE SIGNALER! Save 25% on the Sonic Ring Video Phone Signaler during September! This signaler alerts you to your videophone with a choice of three distinct flash patterns. Select a unique flash pattern for your telephone, TTY, fax or videophone with the flip of a switch. It also works with all Sonic Alert remote receivers. company of discriminating against the deaf. again, in many, many other cases it is not true! that he is being discriminated against! and is fired – but he does not claim discrimination! When you hear of discrimination, is it the truth? (no matter if it is Nuclear or Advanced Bionics)? go back to the CI physician, which is a worse hassle. percent that scares many CI users. that don’t – but the same goes for hearing people. Screen……only at Hear World Communications ! captions (with adjustable text) of what your callers are saying. card in and it’s ready to go ! world championship titles to her credit. on a feature story on her. when asked by the hearing. IS THE AIR CONDITIONER SPOILING US? We, the Americans, require air conditioning. Possibly not always that way overseas. Going on right now is the 2011 World Deaf Basketball Championship at Palermo, Italy. DeafDigest feeling sorry for the USA men’s team? No, because the Americans are not in the tournament! how long have your deaf clients been deaf? receive college credit for the classes where I provide CART. don’t have to take the tests or do the homework. conflict to provide CART for someone else at the same time. A TOTAL CONTROL OF HEARING UMPIRES BY A DEAF UMPIRE! the other hearing umpires in every game. Balks, however, are extremely rare in baseball. thanks to the CI and genetical engineering. in his life that he saw a group of deaf people at an event. in a recent New York Times article. a strategical move that backfired. casualties among our deaf and hard of hearing friends. 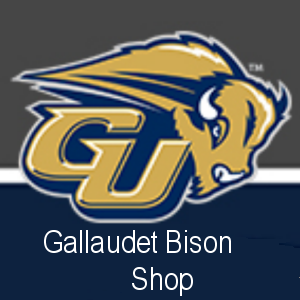 Gallaudet defeated SUNY-Maritime 18-13 today. military base teams and semi-pro teams. last season, none were against NCAA-III teams. In movies, bad words are always voiced. and their responses were evasive. to read these bad words? Minimum of 5 years teaching and administrative experience. Oversee daily operation of William Center Autism Program. Coordinate Special Education procedures for the William Center. development of Deaf & Hard of Hearing students. The Center for Disability Rights, Inc. This entry was tagged deaf, deaf news, deaf videos, Deafdigest Blue by Robert Rademacher. Bookmark the permalink.